Tracking consumers through sensors inside clothes they buy may now become a reality, as Maine retailer L.L. Bean is planning to sew sensors into boots and coats and then track the clothing after it leaves the store through the Ethereum blockchain. The tracking test will begin later this year and will be conducted as an opt-in, according to details first reported in The Wall Street Journal. It’s unlikely that consumers will have a choice of purchasing the same item with or without sensors included. It also will be interesting to see how salespeople relay the information to in-store shoppers that an item comes with tracking built in and that clothing from another line does not. Or perhaps Bean will ultimately include sensors in all its clothes. The idea is that the retailer could track how its clothes are used -- for example, in what temperatures and even when and how often they are washed. Sensors typically could also track the steps taken and other data. L.L. Bean could tell consumers they have no worries since the data is being collected through a blockchain -- as if most consumers will be comforted by that, even if any actually understand what that means. In any case, the concept of sensors in clothing is hardly new. Levi Strauss included RFID tags in jeans in stores so retailers could track the real-time status of inventory in a pilot I saw two years ago. As clothing is moved, a retail sensor tracks it -- including specifics, such as size and style. But that tracking would end when the product leaves the store. L.L. 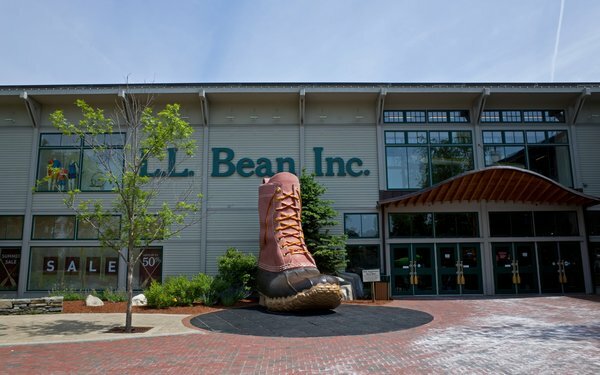 Bean is also scrapping its age-old 'guaranteed for life policy' of products it sells, now giving customers one year to return items as long as they have a receipt. The return-anytime policy always struck me as being built into the typically premium pricing of many non-Bean branded products at the store, so it will be interesting to see if product pricing is adjusted downward to reflect the new policy. The Internet of Things reality is that anything that moves can be tracked. L.L. Bean may soon find out what its customers think about it actually happening to them. 4 comments about "L.L. Bean To Continually Track Clothing After Purchase". James Boldebook from CBC, February 9, 2018 at 5:58 p.m. Regarding the 'tracking' NOT TRUE! I emailed Shawn Gorman, CEO of LL Bean with my concerns and here is an email I got back..
No worries. The article was not fact checked. The idea was to monitor usage of products by a select group of our product testers. We never had any intention of offering this to customers. I think it was an overzealous employee who indicated such. Anyway, no need to worry, as we won’t ever do this. Chuck Martin from Chuck Martin replied, February 9, 2018 at 6:33 p.m. Thanks for that, James. We've been contacting Bean media dept. since morning with no reply. This was first reported in detail in the Wall Street Journal and then in a very large number of publications over the last two days. The quote from the innovation specialist at Bean quoted in the story specifically says the tracking is to see if customers are utilizing the products as intended. R MARK REASBECK from www.USAonly.US , February 10, 2018 at 11:16 a.m.
Maybe they should put a chip in the pants back pockets and call it "Smart A** Technology"
Chuck Martin from Chuck Martin replied, February 10, 2018 at 11:22 a.m.